The arthritis supplements industry is worth tens of billions as more and more pharmaceutical companies are joining in and producing prophylactic treatments and remedies, promising to ward off the threat of arthritis in your later years. But just how effective are these arthritis supplements? Do they really help to prevent arthritis – or even relieve the symptoms? In actual fact, in spite of the numerous studies done on the various ingredients within the supplements – most notably glucosamine and chrondroitin – the evidence so far is very inconclusive and the support for the efficacy of these arthritis supplements very poor. Many of the findings are very inconsistent, possibly because of variations in the type of ingredient used. For example, glucosamine hydrochloride formulations seem to perform much more poorly compared to glucosamine sulphate. But there isn’t enough research evidence to support the use of either formulations in an arthritis prevention programme. Another problem is that even with the same substance, the quality can be inconsistent, leading to variations in performance. For example, to cut costs, instead of using pure chondroitin, some manufacturers use a chondroitin complex which contains significantly less active ingredients – but it is often unclear from the manufacturers information just what percentage of chondroitin is contained in the complex. In addition to the inconsistency of research findings, the placebo effect is very strong. In several of the studies, subjects experienced just as much pain relief as when they were given a sugar pill – in one study, up to 60% of patients! Furthermore, some of the substances come with undesirable side-effects of their own. For example, S-adenosylmethionine (SAMe) can cause headaches and insomnia, as well as gastro-intestinal problems. Glucosamine – this is used by our bodies to make glycosaminoglycans, which bind with water to cushion, lubricate, and protect cartilage in the joints. Studies of glucosamine hydrochloride show that it was no better than a placebo at relieving arthritis pain. Studies of glucosamine sulphate show that in 4 out of 10 tests, sufferers did report less pain when taking the supplement but this low number means that overall, the results are inconclusive. Chondroitin – this is a chain of sugars formed in the body which helps to stabilise joints by increasing the resistance of cartilage to being compressed. Studies of this ingredient showed little or no benefit in using it as a supplement. •	Glucosamine + Chondroitin – studies of this combined supplement showed that people with mild symptoms showed a slight improvement compared to people on a placebo but people with severe symptoms showed not improvement at all. Overall, the results indicate that statistically, the supplement is not much more effective than a sugar pill and are ultimately inconclusive. MSM (Methylsulfonylmethane) – often used to replace the more expensive chondroitin, MSM supplements seemed to lead to slightly less pain in a study but overall, there is too little evidence to support its efficacy. •	Ginger – believed to inhibit the COX-2 enzyme, this nevertheless did not produce any significant effects when tested in a study. Overall, too little evidence. •	Hyaluronic Acid – this is needed for the synovial fluid which lubricates joints and is usually injected into joints to relieve pain and improve function. However, it has only been tested in one published study so far and performed not much better than a placebo. Again, too little evidence. 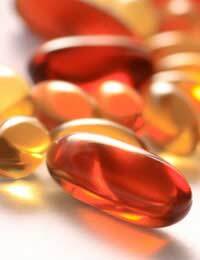 •	Vitamin C – required by the body to synthesise collagen and proteoglycan, which are components of cartilage. Although studies show that people taking this supplement seem to experience slightly less pain, there is still too little evidence to date. •	Vitamin D – used to build bones by increasing calcium absorption and possible also help cells produce cartilage – trials for this are still under way. •	Collagen & Gelatin – collagen is another component of cartilage and bone and is usually provided in gelatine form. However, studies so far show that it has little impact on arthritis symptoms. While manufacturers may come up with a host of new formulae to entice consumers, it is worth keeping the results of these studies in mind and that most supplements are only backed by very few studies. Remember also that none of these supplements have been shown to have any preventative effect. They might provide slight relief from symptoms once you have arthritis but none of them can be taken prophylactically to prevent or slow the progression of the disease. If you already have arthritis, using supplements may lessen your pain or help you move around a bit more easily but there is no proof for the claims often made, such as “helps to rebuild cartilage and lubricate joints”. In your fight against arthritis, you may be better to spend your time and money on things like exercise, weigh loss and good nutrition.